We have been homeschooling now for about 8 months and although it is becoming more and more popular in the UK, there are so many people that don’t understand how it works. There are so many different reasons why people chose the homeschool route. For us it was because Freddie wasn’t being pushed enough at school. 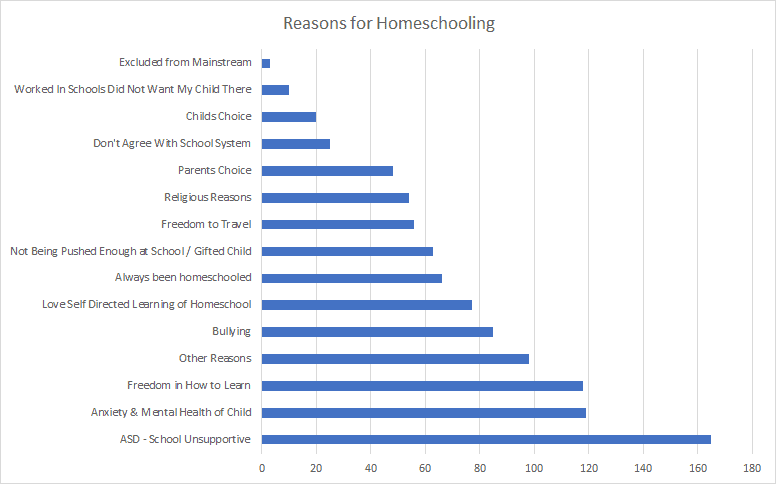 You can read all of our reasons for homeschooling. I am from a very traditional education background, and if I am honest I didn’t even consider home education as an option. I went to university to study accountancy and had worked as a Finance Director. I gave up work to become a full time mum when Freddie turned 18 months old. Freddie had been to full time nursery before I gave up work, and then went to preschool and then school. I didn’t know any different. A friend of mine had taken her children out of school to home educate, and something clicked. This made absolutely perfect sense. Why hadn’t I even considered it? So I did a bit of homework and realised very quickly that this was the best option for my son. Within about a week of homeschooling he changed. He was much happier (I didn’t even realise that he wasn’t happy), and he wanted to learn. We are fairly structured with our homeschool day and still pretty much follow the 9-3, but I know that is not for everyone. But this works for Freddie. I have done some research from other homeschool parents to see why they home educate. What amazed me the most was less than 1% of the people asked homeschooled their child because they had been excluded from mainstream school. This was definitely my perception prior to actually getting an education myself on homeschooling. If your child is under an EHC plan then I believe the rules are slightly different. But, I have no experience in this field and it would be wrong of me to give any advice. However, I believe that you have to contact the Local Authority before deregistering them from the school named on the plan. You do not have to follow the National Curriculum. This at first was the biggest surprise for me. Actually we still do, as Freddie has decided he wants to go to university, so it makes sense for us to follow it. However, you don’t have to. As you have opted out of the state provided education, there is no financial support. Again this might be different if your child is under an EHC plan, but I am unsure. Personally homeschooling is saving us money, however, I know people who spend a lot more than they did while their children were in the school system. For us, Freddie already attended after “school” activities such as Rugby, swimming and theatre school (on a Saturday afternoon). So this wasn’t an additional expense. There are so many free online resources that it really can be a very cheap option. Learning happens all of time, not just at a desk. Playing board games is educational check out our favourite educational board games. Playing with Alexa can be educational, reading books, drawing, cooking, learning life skills. The list is endless. So from the minute your child wakes up to the minute they go to bed, they are learning. Whether it be in the traditional sense or not. Generally, and how we work is, Freddie is now with me 24/7. Although I don’t go to rugby with him anymore and his Dad does this, mainly so he can have a break from me! This can be hard work especially if you are used to having them at school for 6 hours a day. It is so rewarding, but I am not going to tell you it is easy, because it is not. As a parent you do not need to have any qualifications to teach your children. Now as Freddie is still at primary school age (he is 9 years old) I find teaching him incredibly easy. There are so many free online resources to help for all ages that you can use. Do you homeschool? Please let me know in the comments I would love to hear why you have chosen this option.